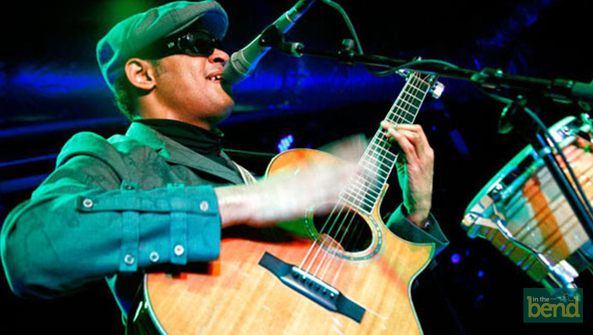 Music fans who braved the snow and bad roads to attend Raul Midón's concert Saturday at the University of Notre Dame's DeBartolo Performing Arts Center expected to see a one-man show. That one man stood in middle of a stage that included a piano and bongo drums. Midón held the acoustic guitar that helped him earn Grammy nominations in 2018 and 2019. He was backed by the Netherlands-based Metropole Orkest on his most recent Grammy-nominated album, "If You Really Want." And although the orchestra was likely in another part of the world on Saturday evening, those in the audience could be forgiven for believing that Midón was not alone. It often felt as if he was accompanied by a pianist, trumpeter and percussionist. However, Midón handled all of those duties alone, often simultaneously. Originality in pop these days is a commodity. 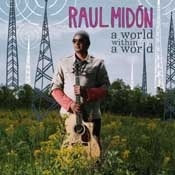 Raul Midon is rare in music, and his originality and vibrant sound are again evident on his new CD: A World Within a World (Manhattan Records). Following up on his audacious: State of Mind CD, A World Within a World provides an even more memorable song cycle, again revealing great depth, talent, and dedication. Midon who loves Paul Simon, James Taylor and Prince as much as Miles Davis, is a fiercely a single-minded artist, blind from birth, who has always created with his imagination. 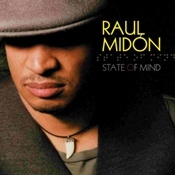 6 New "ON" 125 "Total Stations/Shows"
It's rare that an artist arrives onto the pop music scene so fully loaded with the kind of hit-making potential that singer-composer-guitarist Raul Midon possesses. The New Mexico-born, New York-based Midon makes his recording debut with State of Mind, produced by Arif Mardin and Joe Mardin for Manhattan Records. The 13-track collection of Midon originals is a remarkable m lange of soul, R&B, pop, folk, jazz and Latin. 6 New ADD's this week: 77 "Total Stations"